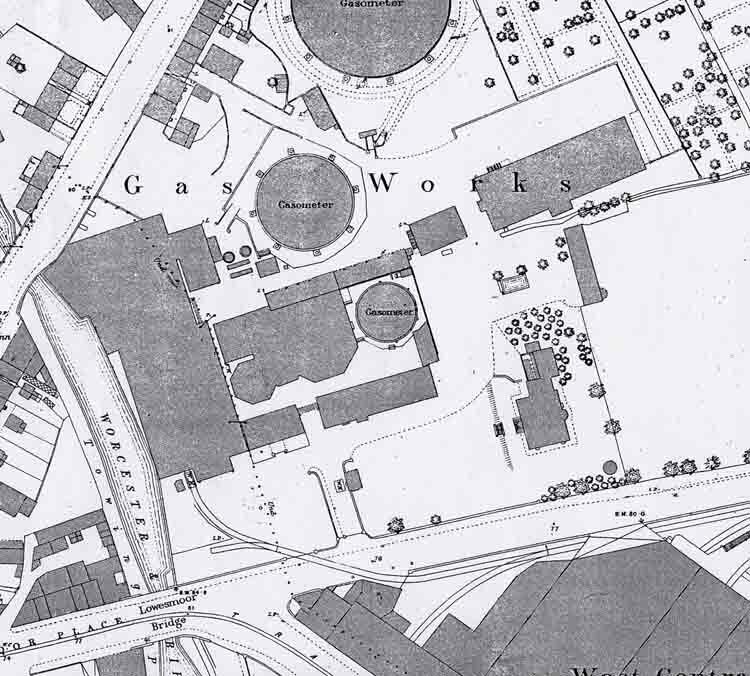 The construction of a gas works in Worcester was authorised by Act of Parliament in 1818. The Worcester New Gas Light & Coke Co immediately commenced to find a contractor to build the works at a site on the east side of the Worcester & Birmingham canal with access from Tolladine Road. The works was opened around 1818. This connection was later replaced by a much simpler connection that removed the need to cross Tolladine Road. The new connection was from the Coal Siding, Worcester across a new bridge over Railway Walk and into the gas works from the north. This is Tolladine Road, looking west at location 'Q' on the map. The now demolished Worcester gas works was on the right hand side of the road. 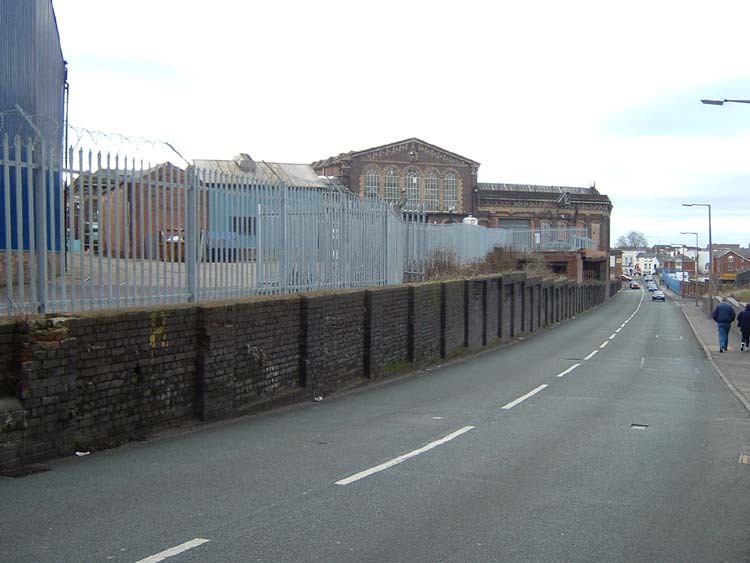 The impressive building behind the wall on the left hand side was built by the Worcester Engine Works Company Limited in 1865. A section of track can be seen at the far left. This led from the GWR branch line before reversing course alongside the wall and through the two bridges where the line split into two tracks. One went under the building via a long tunnel to Mckenzie & Holland. The other carried on to a siding that was later used by West Central Wagon Co Ltd and then across Tolladine Road into the gas works.